Books about Blockchain offer a great way of learning the ins and outs of Blockchain and at a much lower price than taking, for example, a specialist Blockchain Course. By reading a book, you consume a huge amount of research in a relatively short amount of time, and it is one of the best ways to improve your knowledge and skills. The only problem is that there are lot’s of Blockchain Books on the market and there are much more to come. For instance, just doing a search for “Blockchain Books” in Amazon results in more than 2,000 books about Blockchain, so how do you make up your mind about what to read? You can do a google search and search for the Best Blockchain Books but then you get hundreds of “Best of Lists” in front of you, so that doesn’t help a lot either unless you want to spend a full day going through all those lists. Well, that is exactly what we did! We searched for 50 “Best of Lists” highlighting the most recommended Books about Blockchain by various authority sites. 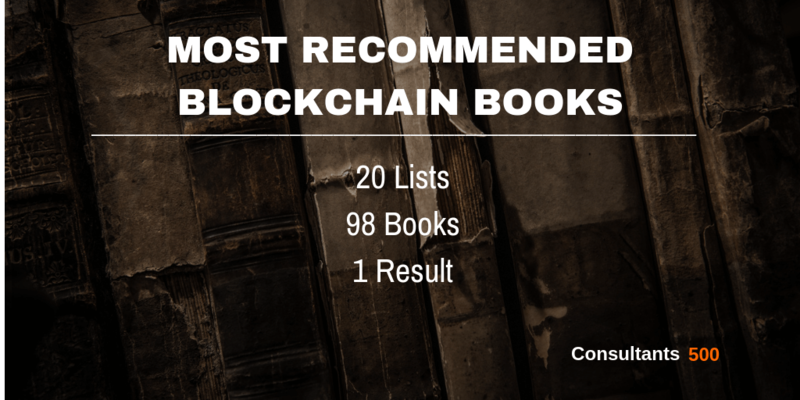 Then we selected and combined the 20 most valuable “Best of Lists” and earmarked and ranked what Blockchain Books keep up appearing on most of those recently published lists. From a total of 98 Blockchain Books compared, reviewed and ranked, here are the Top 20 of Most Recommended Blockchain Books that appear on most of the Best Blockchain Books lists! As we are a small business ourselves, we use this list as well for educating and inspiring our minds and for optimizing our Consultants 500 platform. And in case you didn’t know yet, on our platform you can search for all types of Blockchain Experts all over the world. Finally, if you are a Blockchain Expert yourself, you can always register for free if you want to, it’s all up to you. See here how it works. 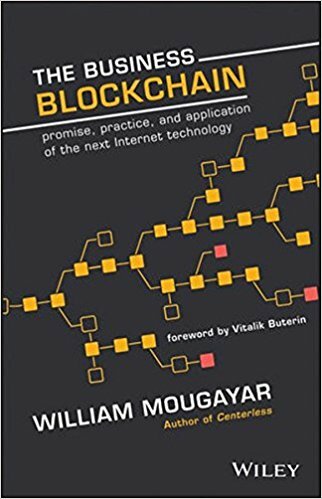 Listed 14 out of 19 times, and this book is by far the number one Blockchain Book on our Best of List. Don Tapscott is the CEO of the Tapscott Group and one of the most influential living theorists about business and society. In November 2013, Thinkers50 named Don as the 4th most important business thinker in the world. A previous Forbes analysis of social media identified Don as the most influential management thinker in the world. Alex Tapscott is the CEO and founder of Northwest Passage Ventures, an advisory firm building blockchain companies. In 2014 he wrote the seminal report on governing digital curren­cies for the Global Solutions Network program at the Joseph L. Rotman School of Management at the University of Toronto. Listed 10 out of 19 times. William Mougayar is General Partner at Virtual Capital Ventures, an early stage venture capital fund, and currently on the Board of Directors of OB1, the OpenBazaar open-source protocol that is pioneering decentralized peer-to-peer commerce, a special Board Advisor to the Ethereum Foundation, a member of OMERS Ventures Board of Advisors, an Advisory Board member to the Coin Center, Bloq and founder of Startup Management. Listed 10 out of 19 times. Paul Vigna is a markets reporter for The Wall Street Journal, covering equities and the economy. He is a columnist and anchor for MoneyBeat. Previously a writer and editor of the MarketTalk column in DowJones Newswires, he has been a guest on the FoxBusiness Network, CNN, the BBC, and the John Batchelor radio show. Listed 10 out of 19 times. Melanie Swan founde d and participated in new markets startups GroupPurchase and Prosper, and developed virtual world digital asset valuation and accounting principles for Deloitte. She is an instructor at Singularity University and an Affiliate Scholar at the Institute for Ethics and Emerging Technologies. Listed 5 out of 19 times. Andreas M. Antonopoulos is a noted technologist and serial entrepreneur who has become one of the most well-known and well-respected figures in bitcoin. As an engaging public speaker, teacher and writer, Andreas makes complex subjects accessible and easy to understand. Andreas advises multiple technology startups and speaks regularly at conferences and community events around the world. Listed 6 out of 19 times. Phil Champagne is Managing Director of Wren Investment Group, a firm that invests in real estate with equity funding from financial partners. His knowledge of the Austrian School of Economics enables Wren Investment Group and its partners to navigate investments from a sound money perspective. Phil has a background in computer software with a bachelor’s degree in electrical engineering from the Université de Sherbrooke in Canada. He became interested in Bitcoin in 2012. Listed 7 out of 19 times. Andreas M. Antonopoulos is a technologist and serial entrepreneur who has become one of the most well-known and well-respected figures in bitcoin. 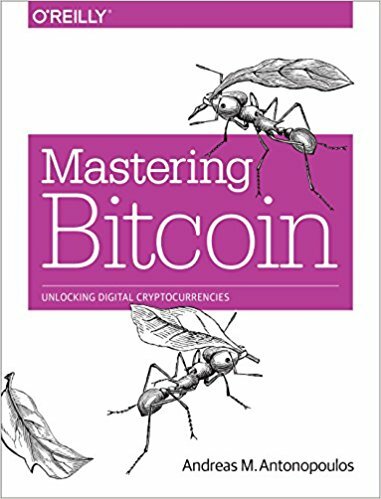 He is the author of “Mastering Bitcoin”, which book is listed as number 5 in this list, published by O’Reilly Media and considered by many to be the best technical guide to bitcoin. As an engaging public speaker, teacher and writer, Andreas makes complex subjects accessible and easy to understand. As an advisor, he helps startups recognize, evaluate, and navigate security and business risks. Andreas was one of the first to use the phrase “The Internet of Money” to describe bitcoin and its potential impacts on humanity. With three Blockchain / Bitcoin books listed in the top 10, this guy must know what he’s talking about. Listed 6 out of 19 times. Chris Burniske is a co-founder of Placeholder Ventures, a New York firm that specializes in crypto assets. Prior to Placeholder, he pioneered ARK Investment Management’s Next Generation Internet strategy, leading the firm to become the first public fund manager to invest in bitcoin. He then transitioned to focus exclusively on crypto assets, paving the way for Wall Street to recognize it as a new asset class. His commentary has been featured on national media outlets, including CNBC, the Wall Street Journal, the New York Times, and Forbes. Listed 7 out of 19 times. 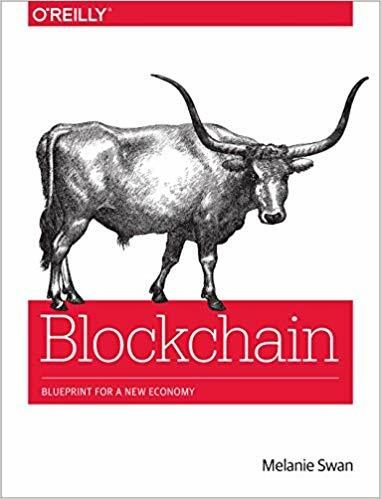 This is the third book of Andreas in this list of best blockchain books, which is quite impressive. Andreas M. Antonopoulos is a technologist and serial entrepreneur who has become one of the most well-known and well-respected figures in bitcoin. A public speaker, teacher, and writer, Andreas advises multiple technology startups, and speaks regularly at conferences and community events around the world. Listed 7 out of 19 times. Nathaniel Popper is a reporter at the New York Times. Before joining the Times, he worked at the Los Angeles Times and Forward. Nathaniel grew up in Pittsburgh and is a graduate of Harvard College. He lives in Brooklyn with his family. Listed 7 out of 19 times. Daniel Drescher is an experienced banking professional who has held positions in electronic security trading in several banks. His recent activities have focused on automation, machine learning, and big data in the context of security trading. Among others, Daniel holds a doctorate in econometrics from the Technical University of Berlin and an MSc in software engineering from the University of Oxford. Listed 3 out of 19 times. Imran Bashir has an M.Sc. in Information Security from Royal Holloway, University of London, and has a background in software development, solution architecture, Infrastructure management, and IT service management. He is also a member of the Institute of Electrical and Electronics Engineers (IEEE) and the British Computer Society (BCS). Imran has eighteen years’ experience in the public and financial sectors. He worked on large-scale, IT projects in the public sector before moving to the financial services Industry. Since then he has worked in various technical roles for different finance companies in Europe’s financial capital, London. He is currently working for an investment bank in London. Listed 3 out of 19 times. Alan T. Norman is a proud, savvy, and ethical hacker from San Francisco City. After receiving a Bachelors of Science at Stanford University. Alan now works for a mid-size Informational Technology Firm in the heart of SFC. He aspires to work for the United States government as a security hacker, but also loves teaching others about the future of technology. 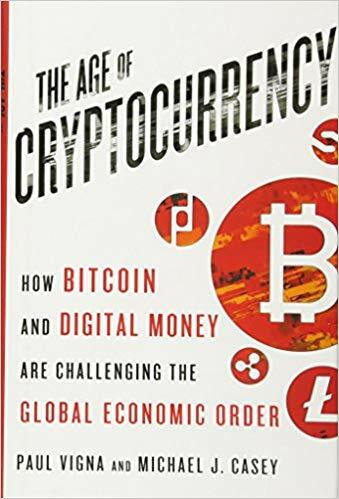 Besides this Cryptocurrency book, his book “Blockchain Technology Explained” is listed as number 15 on this best of list. Listed 3 out of 19 times. Miles Price is an emergent technology leader focused on advancing emerging technologies into the wider market via R&D with rapid deployment into the public and private sector. He teams up with inventors, academics as well as teams doing R&D and is on the lookout for adding more companies into the fold. Listed 4 out of 19 times. Alan T. Norman is a proud, savvy, and ethical hacker from San Francisco City. After receiving a Bachelors of Science at Stanford University. Alan now works for a mid-size Informational Technology Firm in the heart of SFC. He aspires to work for the United States government as a security hacker, but also loves teaching others about the future of technology. Alan firmly believes that the future will heavily rely on computer “geeks” for both security and the successes of companies and future jobs alike. In his spare time, he loves to analyze and scrutinize everything about the game of basketball. Besides this Blockchain book, his book “Cryptocurrency Investing Bible” is listed as number 13 on this best of list. Listed 3 out of 19 times. Brian Patrick Eha is a former editor at Entrepreneur and a journalist who has spent nearly five years following the rise of Bitcoin. His work has been published by The New Yorker, The Atlantic, Fortune, CNNMoney, American Banker, Outside, Port, Avaunt, and the Los Angeles Review of Books, among other publications. He lives in New York City. Listed 5 out of 19 times. Michael J. Casey is a senior advisor at MIT Media Lab’s Digital Currency Initiative and chairman of CoinDesk’s advisory board. He is a former Wall Street Journal columnist and has authored four other books. Paul Vigna is a reporter at The Wall Street Journal. The Truth Machine is his third book. Listed 5 out of 19 times. Frustrated by a corporate career in finance, working with such names as GE Capital, HSBC, and Lloyds Bank, Tim took the entrepreneurial leap of faith and plunged deep into Web 1.0 in February 1995, setting up an internet cafe-bar & restaurant and a web design house, which he sold in 2001, prior to calling Australia his home. Listed 6 out of 19 times. Roger Wattenhofer is a professor at ETH Zurich, a Technology University in Switzerland. Before joining ETH Zurich, he was at Brown University and Microsoft Research. His research interests include fault-tolerant distributed systems, efficient network algorithms, and cryptocurrencies such as Bitcoin. He has published more than 250 scientific articles. Listed 5 out of 19 times. David Gerard covers the origins and history of Bitcoin to the present day, the other cryptocurrencies it spawned including Ethereum, the ICO craze and the 2017 crypto bubble, and the attempts to apply blockchains and smart contracts to business. Plus a case study on blockchains in the music industry. 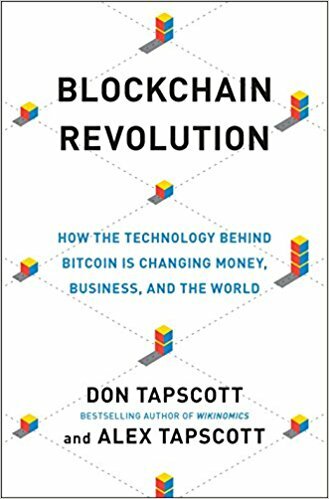 Join the Q&A conversation about What Are Your Favorite Books about Blockchain? Later on, we will share the results via Knowledge Resources, so you can quickly find the best Books about Blockchain on the web as suggested by our users and visitors. Via our Entrepreneurship Briefing Room, the Top Resources on the web are followed and only the most shared content is shown in relation to Entrepreneurship, Technology & Freelancing. You can filter all the content for the last 24 hours, 3 days, 1 week, 1 month, 3 months, etc so you can easily find and stay up to date with the latest developments. More than 75% of potential Clients who look for Blockchain Specialists start a Web Search to find the best Blockchain Professional for the Job. Because the internet is by far the leading channel, it is critical that your business can be easily found on the internet. Creating a profile on our Platform is free and opens the door to new opportunities, it can be done in only a few minutes and without any credit card. Easily find and compare highly qualified Blockchain Experts with all sorts of backgrounds by searching our Platform, which can be local Blockchain Advisory Firms, a Blockchain Specialist or it can be Freelance Blockchain Advisors. Directly contact and work with your ideal candidate in any way you like. Searching is always free, and that also means that we never charge any transaction type of fees. We made a list of 50 posts that we recently published about “Best Blockchain Books” to read. We combined the 20 lists of “Best Blockchain Books” and earmarked all individual books that were on those lists. All lists were summed up, and the Blockchain Books with the lowest number were ranked 1, 2, 3, etc. This resulted in the final “The Top 20 of Best Blockchain Books” that have been recommended most times by all types of blockchain experts.